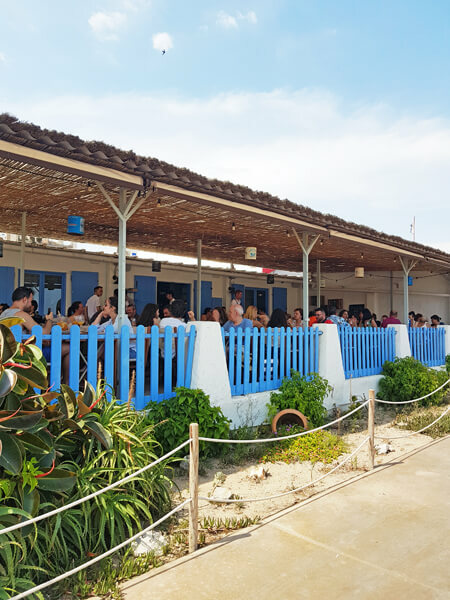 Searching for the authentic paella of our dreams ,we found different kinds of rice at L’Estupendu : Arroz de la reina (Queen rice), rice with cod fish and vegetables, Arroz caldoso , (literally ‘brothy rice’), rice with cuttlefish and mantis shrimps and Arroz marinero,, seafood rice. On this occasion we have ordered the Fish paella, indeed seafood rice can never fail. The paella was delicious, the rice at its best, the colour was golden brown, which is something, I especially appreciate. 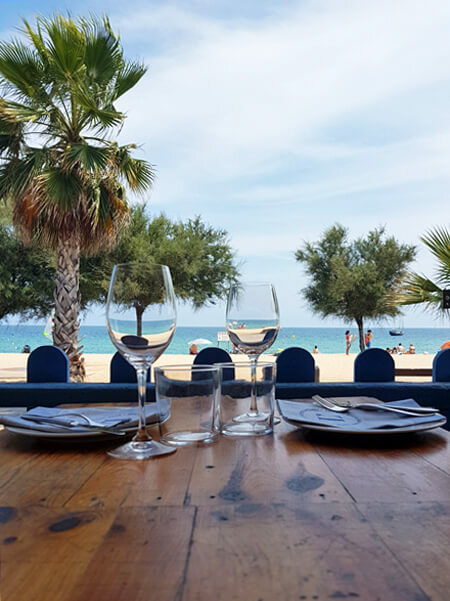 The traditional paella (Valencian paella) is traditionally made with meat, fish and vegetables. 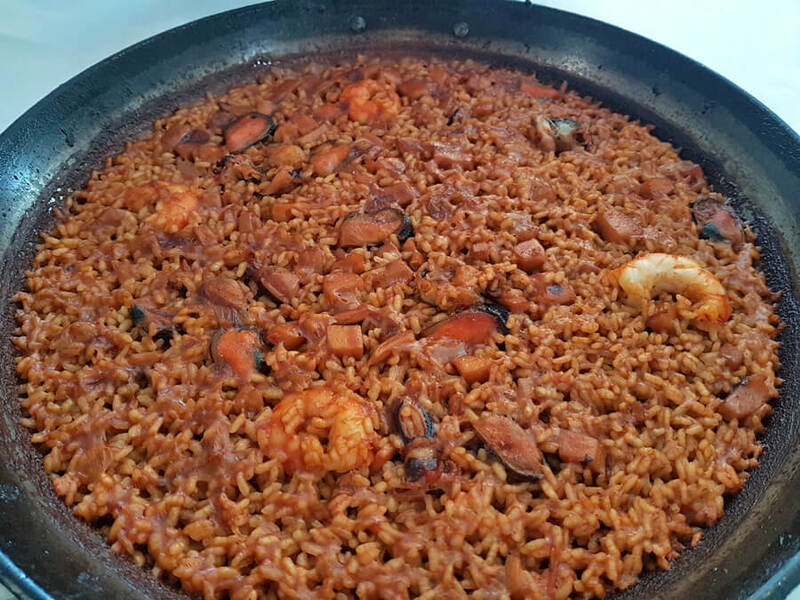 However, there are endless variations in the way to prepare the rice, there is indeed a paella for each master chef, and nowadays the fish paella has become very popular. 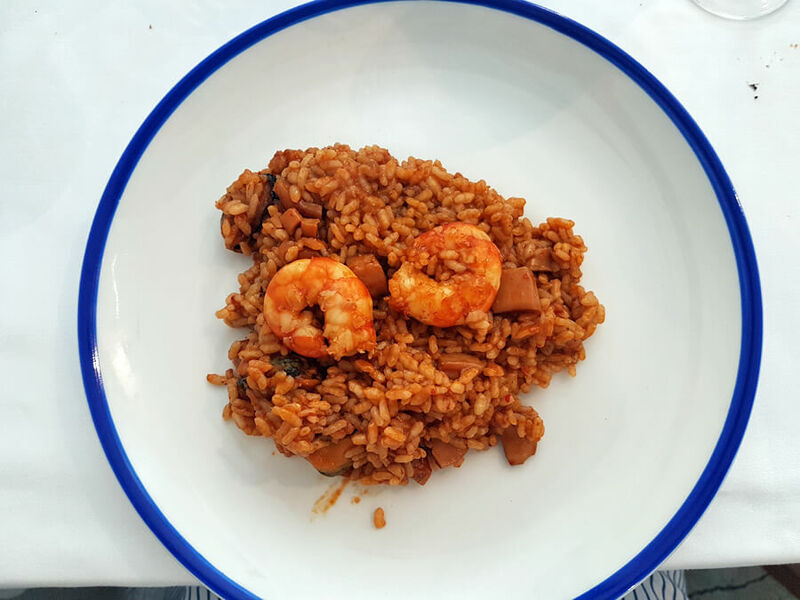 In a fish paella you will always have mussels, prawns and cuttlefish or squid, sometimes scampi and clams. If you want a traditional Valencian paella, chicken and/or rabbit will be added. As for vegetables, green beans and garrofons (big white beans) will be added to the sofrito (tomatoes, onions and peppers cooked in olive oil). Sometimes during the artichoke season (from autumn to spring), this delicious vegetable may also be added. 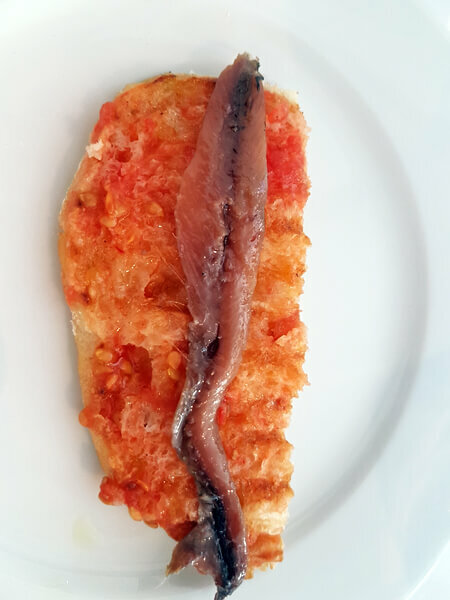 As starters we chose anchovies with pan con tomate (Catalan bread and tomato with olive oil) and Spanish ham croquettes. 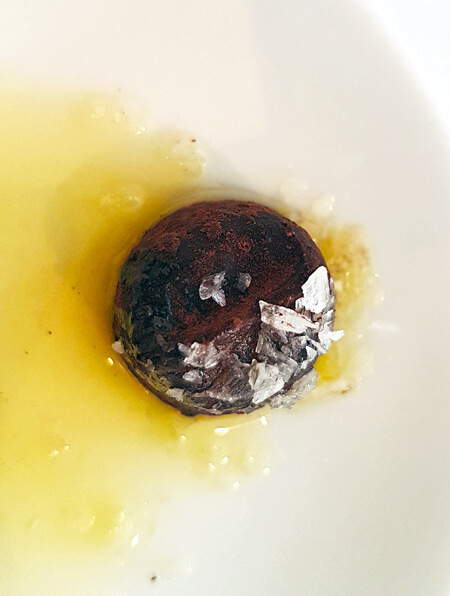 For dessert, we ordered chocolate truffles with olive oil and salt. I personally prefer the ganache version of this desert, as I find that the different flavours blend more easily. 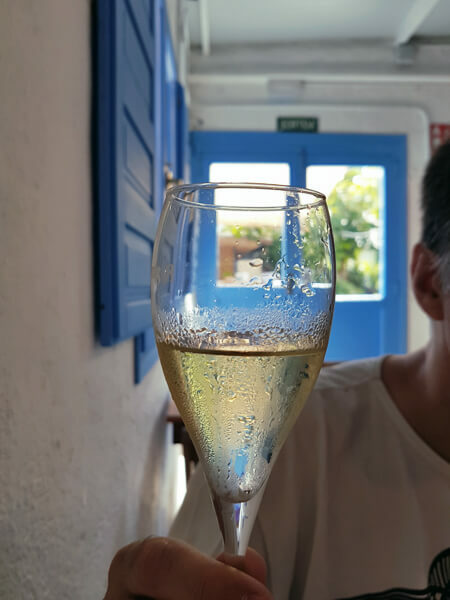 With well-chilled delicious cava , this dessert tastes like heaven. 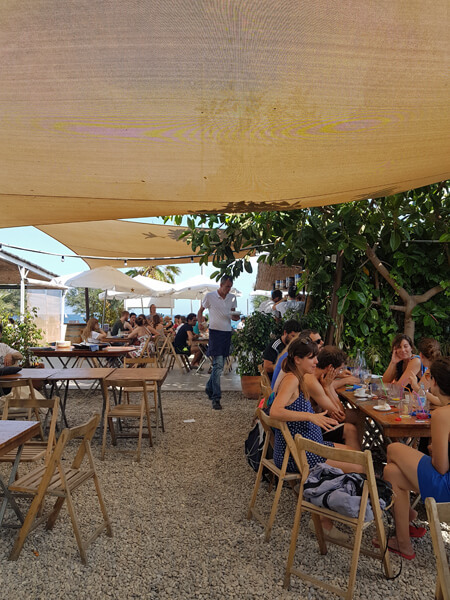 We had coffee on this terrace just to enjoy the beauty of the space, the plants and the sea breeze in the most authentic Mediterranean style: simple and warm. 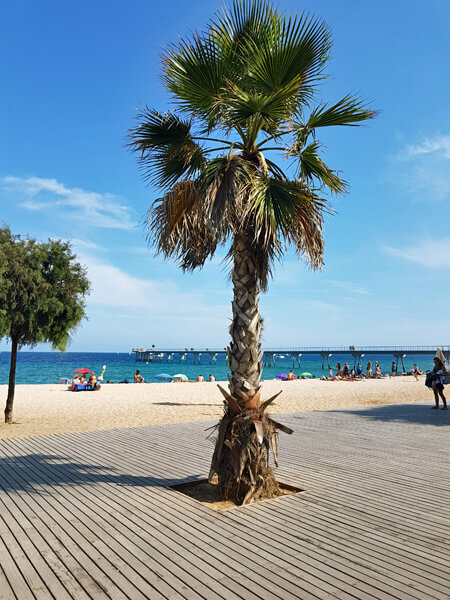 Badalona beach is a long wide sandy beach less crowded than the beach in Barcelona. Now if what you look for is to have a great swim, I would recommend going a bit further up the coast to Caldetas. 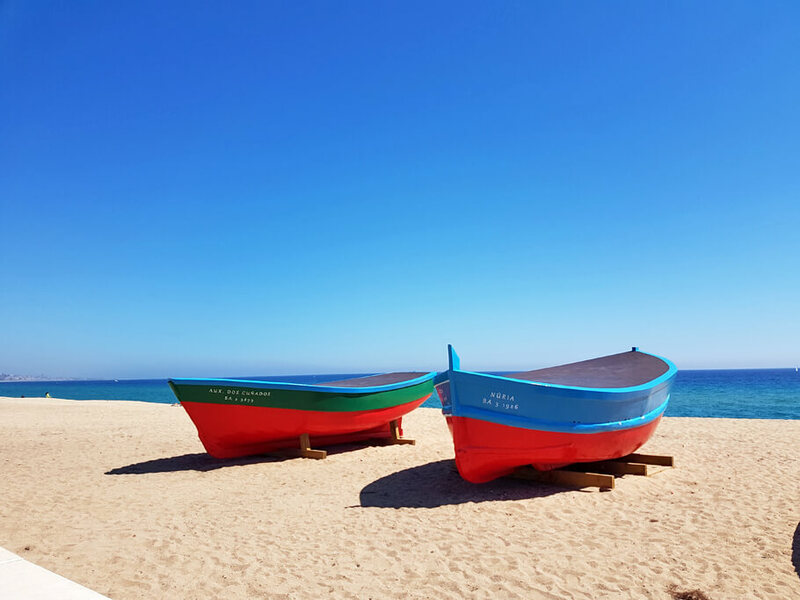 When you arrive in Badalona by the suburban train (rodalies) walk to the nearest beach, the stroll to the restaurant will be entertaining, you will see locals taking a walk or sunbathing, fishing boats aground on the beach… When you reach the old wooden beach huts (which people used for safe storing of their belongings), you will find that the area has been converted into the restaurant. Next to it there is the old factory of Anis del Mono, and more importantly the Pont del Petroli which you must visit! 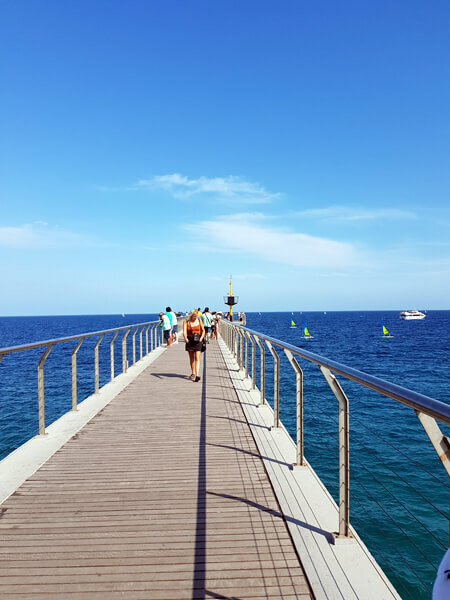 The view from the bridge encompasses most of the Maresme coast as far as Barcelona. If you want to go there at the week-end, book in advance, the sooner the better. 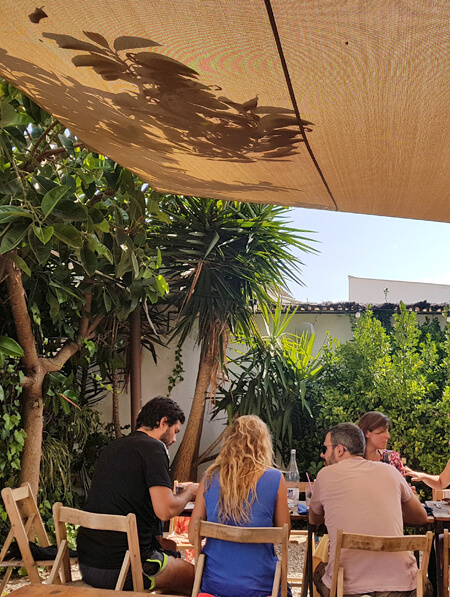 If you go by public transport, we recommend taking the suburban train (rodalies) from Arc de Triomf metro/train station, it is a small station and straightforward as there is only one suburban train platform. Trains run every 15 min approx. The ride to Badalona takes 16 min. 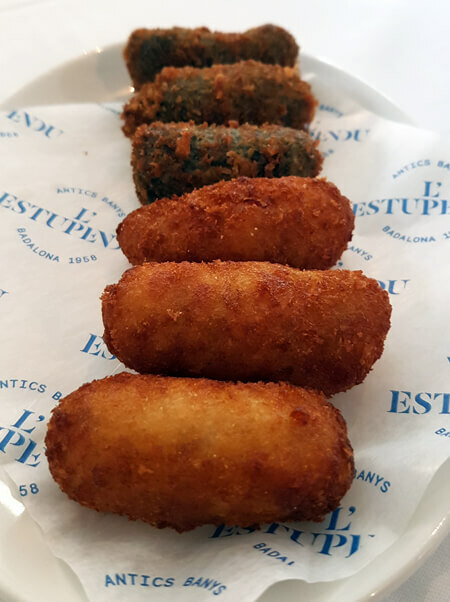 Gastronomy remains one of the most prominent features of Barcelona.